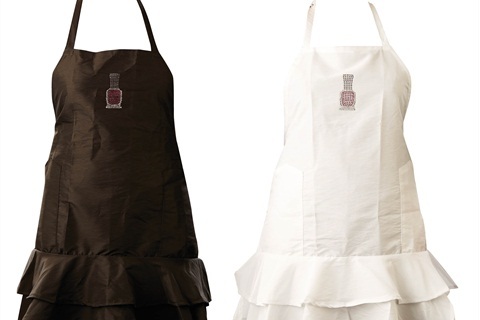 These Salonwear Aprons are chemical- and water-resistant, include a large top pocket, two bottom pockets, an adjustable neck, and long ties for a custom fit. Plus, the nylon fabric ensures hair won't stick. And clients will be sure to notice the jeweled polish bottle on the front of the apron. For more information, visit Salonwear.